High blood pressure usually has no symptoms so it’s important to check regularly. 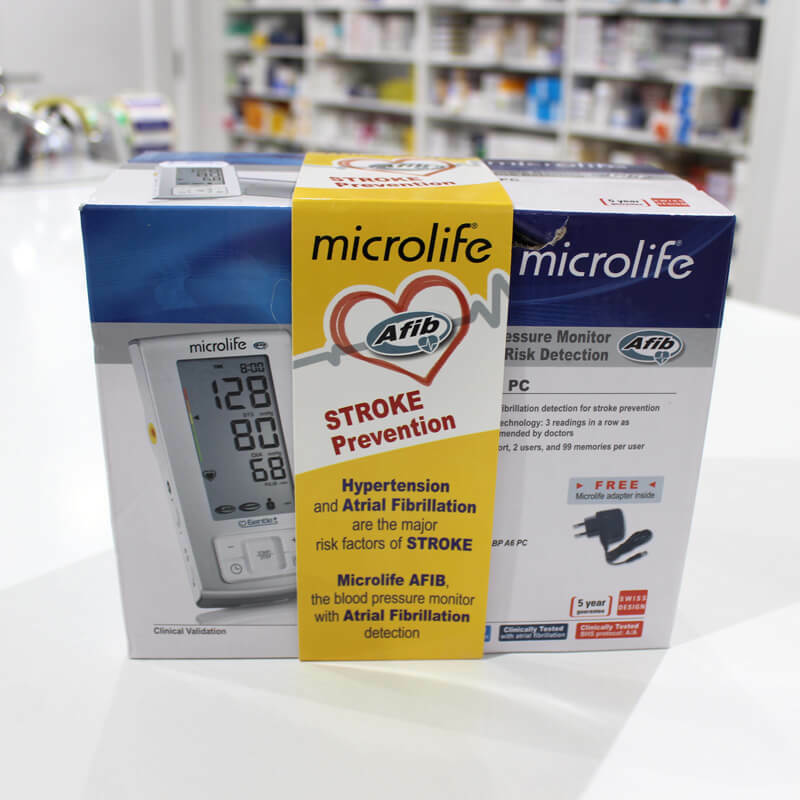 At Reens we offer a FREE blood pressure measurement service and stroke risk detection using Microlife Monitors. The higher your blood pressure, the greater your risk of heart attack or stroke, heart failure, kidney failure and poor circulation in your legs. We also fit and hire out 24 hour blood pressure monitors for €40 per day that come with a printed report on return for your GP. High blood pressure usually has no symptoms so it’s important to check regularly. At Reens we offer a FREE blood pressure measurement service and stroke risk detection using Microlife Monitors. We also fit and hire out 24 hour blood pressure monitors for €40 per day that come with a printed report on return for your GP. Firstly, our Life pharmacists are on hand daily to check your blood pressure and inform you about your personal wellbeing. Having your blood pressure checked regularly and identifying anything of concern is the first step in treating high blood pressure. Book an appointment now. For those who need a 24 hour blood pressure monitor we fit and hire them out for €40 per day. We fit them in the Consultation Room and provide a print out with the results on return for your doctor. Check out the 24 hour blood pressure section below for more details. 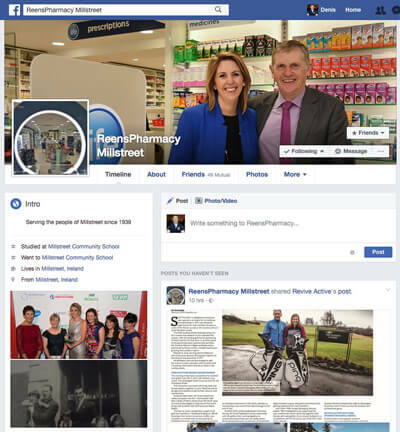 If you wish to get advice on how you can lower your blood pressure, through changes in lifestyle, please schedule a free consultation with a Reens Life Pharmacist. We can provide tips on how to reduce your alcohol intake and consumption of cigarettes. Taking supplements and medication has been proven as the most effective way to treat high blood pressure. We can provide you with a medicines review to help you take the right doses at the right time and inform you on any possible side effects. 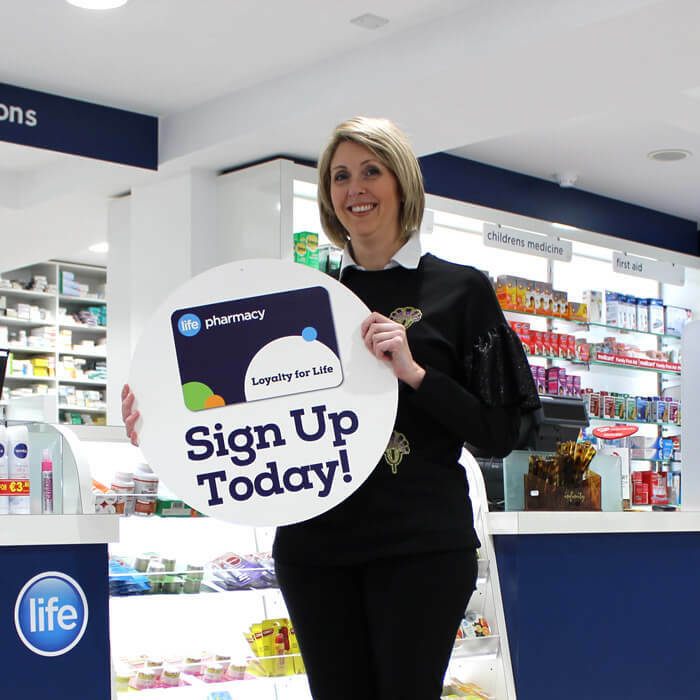 Your Reens Life Pharmacist can provide you with free advice on how changes in diet and exercise can reduce blood pressure and lower your risk of cardiovascular disease. 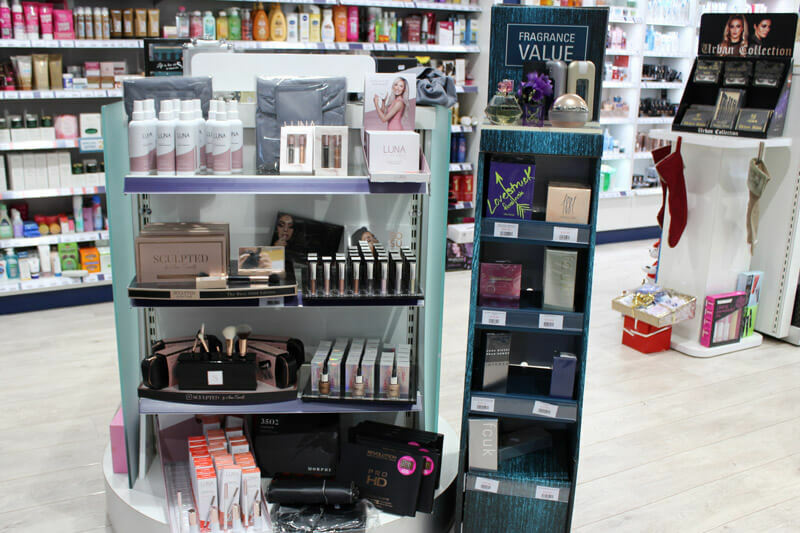 Quitting Smoking is one of the best things you can do to improve your health and our pharmacists can help you do this. Click here to open our Stop Smoking Advice page. Our pharmacists can refer you to a local doctor in Millstreet for further examination if you are at high risk of cardiovascular disease. Elevated blood pressure could be the first sign of an unhealthy heart. 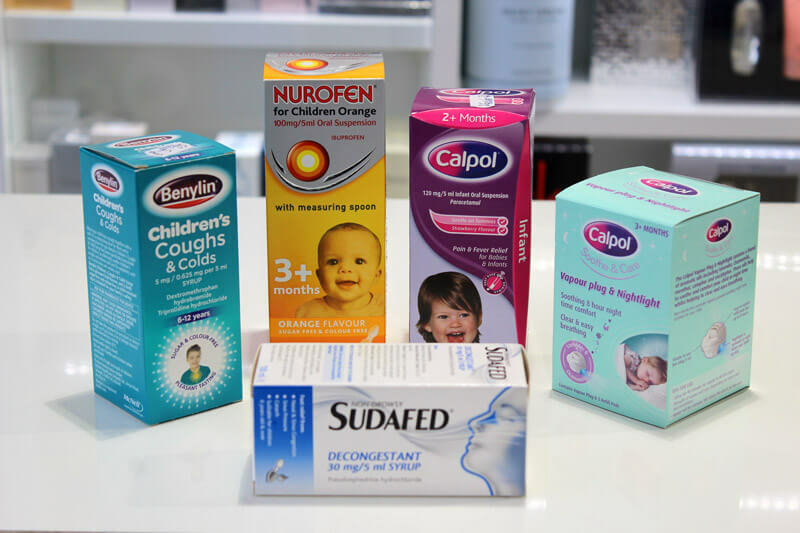 Once suitable medications have been determined to best fit your medical needs, we can have prescriptions ready in advance to save you time upon collection. Click here to open our Prescription Ready To Collect page. It’s important to know your blood pressure numbers. Here we explain the different levels and what they mean for your health. You especially need to monitor your BP if you are in the high risk group list below. Hypotension is the medical term used to describe low blood pressure. For the most part, low blood pressure in healthy individuals is not concerning. This is not true for elderly people as hypotension could signify inadequate blood flow to vital organs. A sudden drop in blood pressure in people of all ages could also be dangerous, as the body may not recover from initial shock. Low blood pressures average 90/60. Pressure of blood when your heart rests between beats. The pressure units involved in this reading are millimetres of mercury or mmHg. A normal blood pressure reading averages 120/80. Hypertension is the medical term used to describe high blood pressure. It affects about 40% of people in Ireland. If left untreated, hypertension can lead to heart attack, stroke vascular disease and kidney failure. According to the Irish Heart Foundation, 10,000 people a year die from cardiovascular disease in Ireland, which is induced by high blood pressure. High blood pressure measurements average 140/90 over more than one reading. 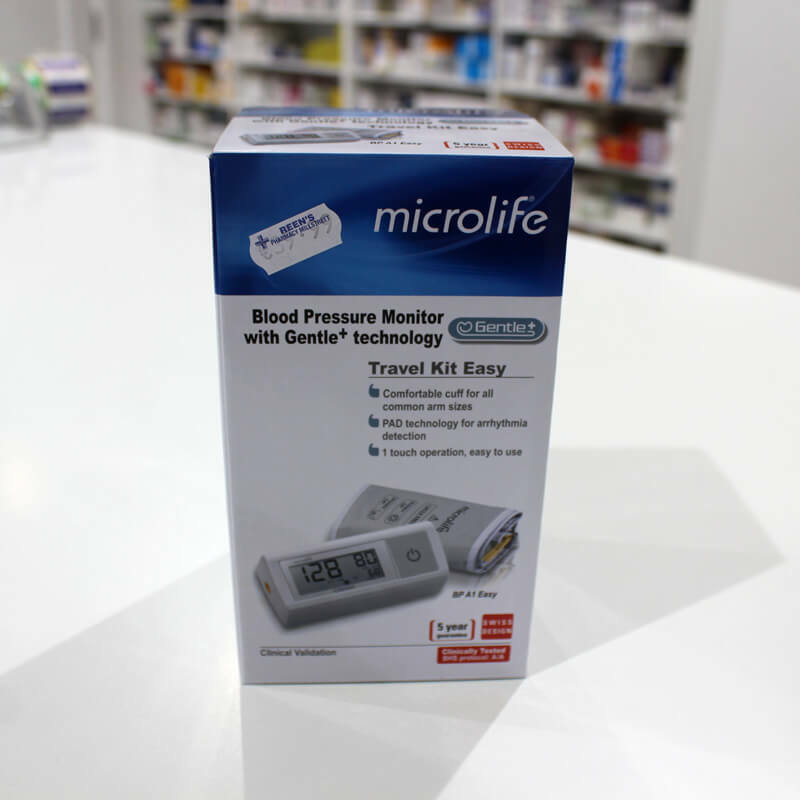 If you need to monitor your blood pressure regularly you can choose between the basic and advanced monitors that we stock. 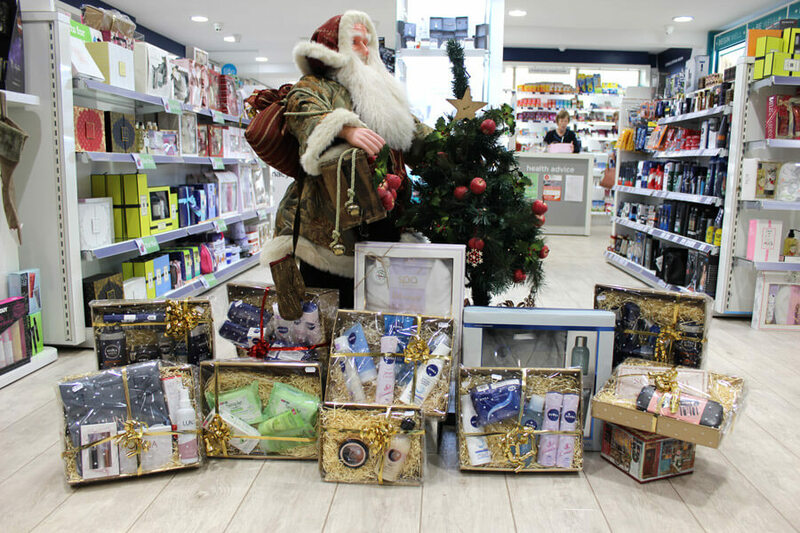 If you have any difficulty in choosing which one is best suited to you just drop in and we can help. A1 Easy is the smallest and easiest to use automated upper arm blood pressure monitor in the Microlife range. The one-button operation enables an efficient and convenient operation, even when travelling. the world’s number one atrial fibrillation (AF) detection system while taking blood pressure measurements at home. analyse and understand the health condition by using Microlife’s free BPA software. A 24 hour blood pressure (BP) monitor is worn for a full day. It is necessary when your doctor wants to get a report on your BP over an extended period. At Reens we fit you with such a monitor and provide a report for your GP when you return it. HOW DOES REENS 24 HOURS SERVICE WORK? Click here to book an appointment, contact us by phone or drop in and say you wish to hire a 24 hour blood pressure monitor. The cost is €40. A reading is taken at regular intervals (20 – 60 minutes apart) throughout the day. We can set the longer intervals for during the night when you are asleep. Only a 24-hour blood pressure reading can evaluate Night Time Blood Pressure. Those with raised night-time blood pressure are at a higher risk of suffering a heart attack or stroke. The 24 hour blood pressure reading can identify people with White Coat Hypertension, this happens when BP shows a temporary rise in a doctor’s surgery (if you are nervous). These people may be misdiagnosed and put on a lifetime of unnecessary treatment. The 24 hour blood pressure monitoring can identify people with Masked Hypertension. This is the reverse Of White-Coat hypertension, in that patients have normal blood pressure in a doctor’s Surgery but Over a 24 hour period it is elevated. PEOPLE WHO BOOK ARE 12 TIMES MORE LIKELY TO FOLLOW THROUGH. If you would like to have your blood pressure checked then you should book a free blood pressure measurement appointment with us in Reens Millstreet. It’s free so make an appointment right here in under 30 seconds. Once we receive your booking request we will contact you to confirm. Any personal information submitted on this form will only be used to contact you regarding this relevant enquiry. We will not share your details with any third party and will not add you to any marketing mailing list. 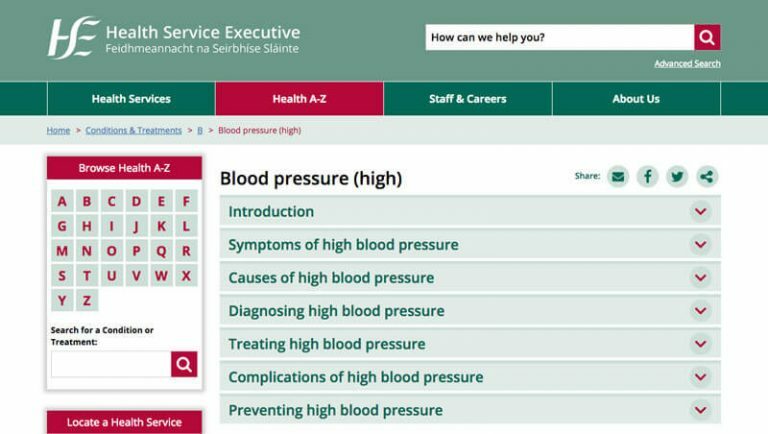 Click the image below to visit the excellent HSE website blood pressure page. It clearly explains high blood pressure, symptoms, causes, diagnosis, treatment, complications and prevention. 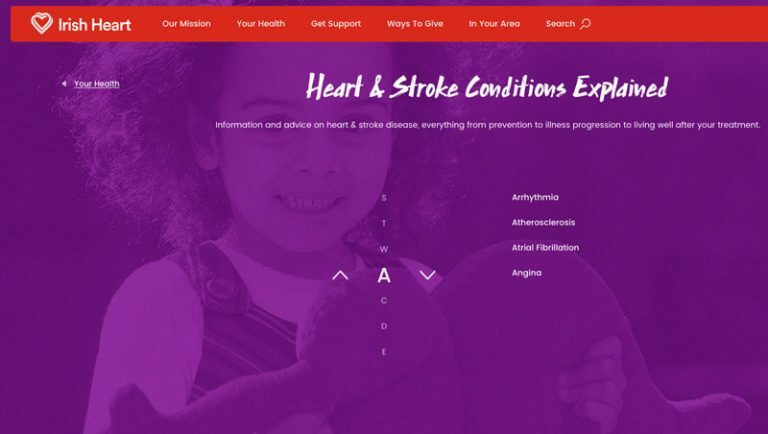 Click the image below to visit the Irish Heart Website for lots of useful information on heart disease, stroke, cpr and events. They also have Live Chat.